Dozens of people marched to the B.C. Legislature on Wednesday in support of the 2019 Moose Hide Campaign. The campaign will embark on a journey to distribute 10 million moose hide pins across Canada and the world to raise awareness and action to end violence against all women and children in Canada. 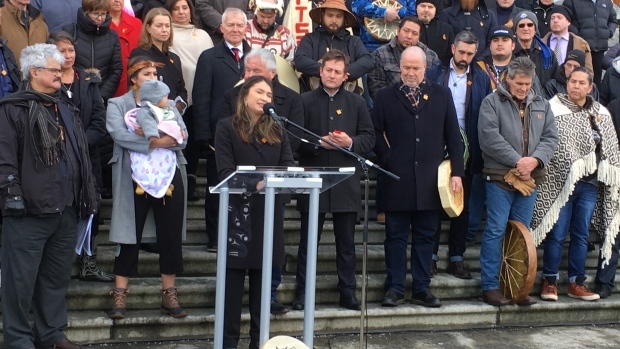 Premier John Horgan, First Nations leaders and a group of supporters marched from Thunderbird Park to the legislature, pledging their support for the campaign.